With almost 20 years experience in the Semiconductor industry, Opt-Tech International is leading the industry in the rebuild of Varian 3180/90 and 3290 series sputtering systems, with Fortune 500 customers worldwide such as Motorola, International Rectifier, Analog Devices, and AMPI Semiconductor. 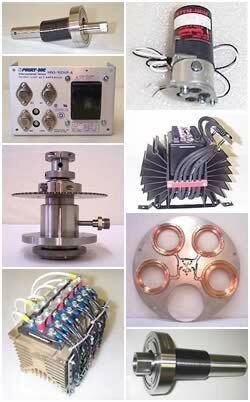 We have an inventory of over 450 different parts exclusively for the Varian 3180/90 and 3290 series sputtering system. Additionally, we do the most extensive rebuild in the industry. See our rebuild specifications. We offer parts, service, modifications, module repairs and rebuilds. Contact us for all your Varian sputtering needs. OEM part numbers are for reference only. All information deemed reliable but not guaranteed accurate.